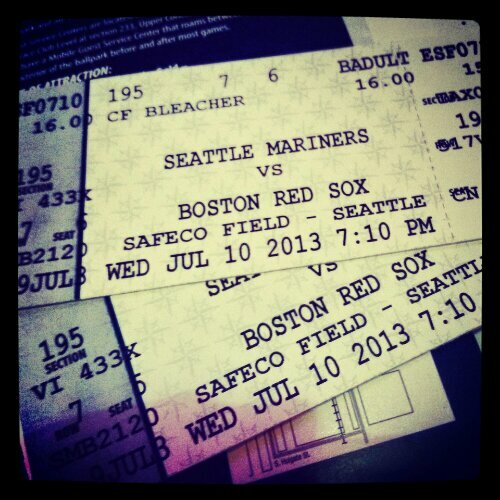 One of the many cool things about living in Seattle is that the Mariners are American League, and play against the Red Sox. (Unlike the Marlins!) 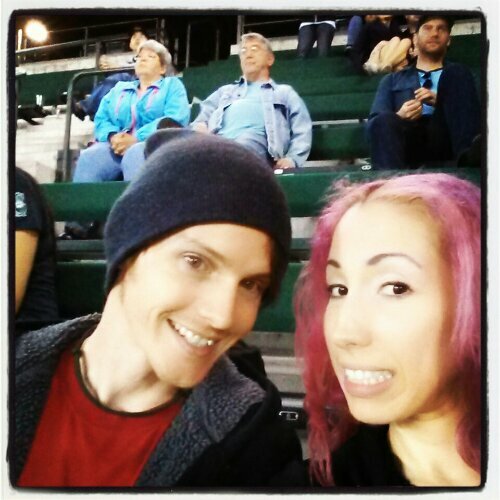 So when the Red Sox came to town, you better believe that I dragged Thomas over to Safeco Field. 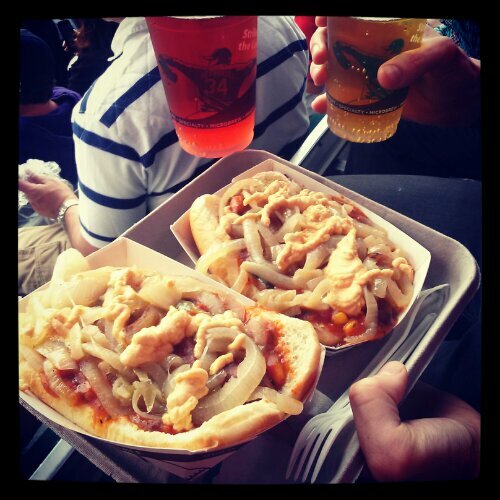 I had been dying to get over there anyway to check out the vegan chili cheese dogs, but I also hadn’t seen the Red Sox since my mom took me to Fenway Park back in the mid 90s. I was beyond thrilled! 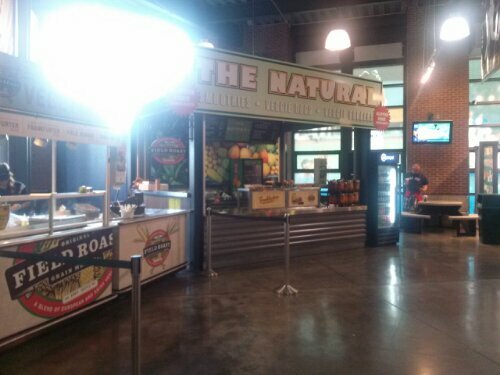 But before we settled in to watch the game, we needed to find food and cider/beer. 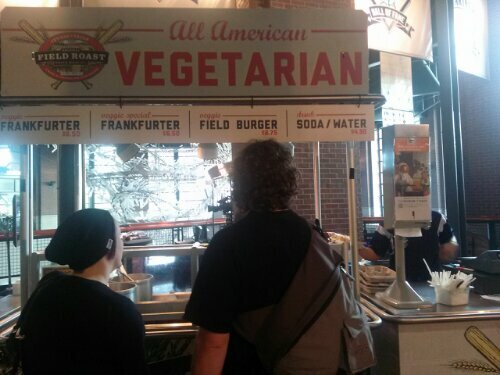 Surprisingly enough, section 132, did not only have the aforementioned chili cheese dog stand, All American Vegetarian, which had Field Roast dogs and burgers…there were also two vegan friendly stands on either side! 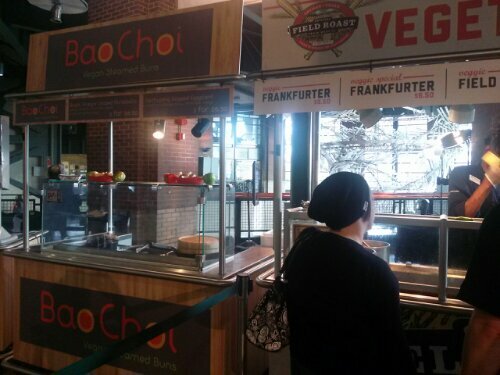 The Natural, on the right, offered smoothies and salads and veggie dogs, including gluten free options, and the other, Bao Choi (left), apparently has “vegan bao (soft buns filled with gochujang glazed eggplant, cilantro cabbage and kimchi mayo), created by the red-hot chef from Vedge in Philadelphia” – according to a review from Seattle Magazine. For those of you that care, we were also pleasantly surprised by the selections of decent beers and ciders. 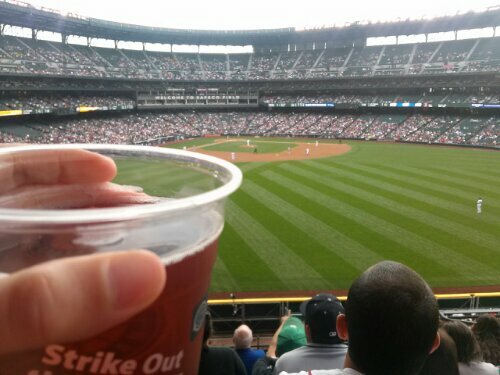 I found 3 different kinds of cider (regular Crispin, and 2 flavors of Fox Barrel) on draft close to the bleacher section where we were sitting! The beers and ciders were around $9 for a large cup. If you want more information on the many beers available, check out this article!